3LW may have hung up their mics over 15 years ago, but the fallout between select members is on-going. Naturi Naughton, who has found success an actress, is the focus of a TV One special and has once again opened up about her dramatic departure from the group. 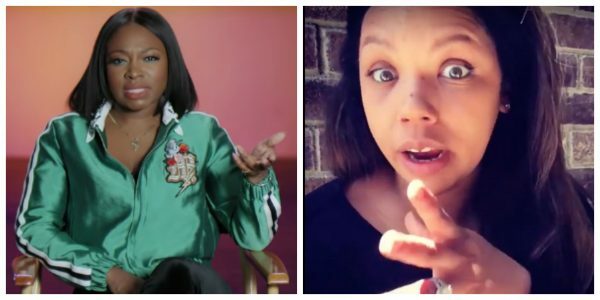 The ‘Power’ star retold the story of how Kiely Williams effectively pied her in the face with a plate of hot chicken and mashed potatoes from KFC. However, in twist of events, Williams (who retired from the spotlight) has clapped back. 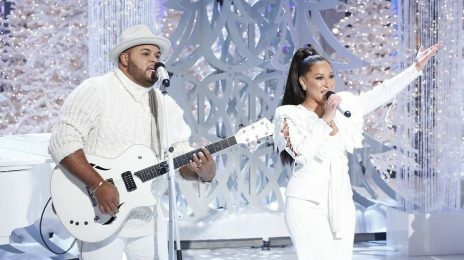 Interestingly, the group’s third member Adrienne Bailon actually apologized to Naturi on her show The Real. A fact which seems to lend credence to Naturi’s case over Kiely’s. Kiely hasn’t learned anything. You can just tell. It’s sad. We’re still talking about this? It was only brought up bc Naturi spoke about in her episode on TVOne about her life and career. It’s part of her story and I’m sure they asked her about it like they did other things that she talks about in the episode. This will probably never get resolved lol. I wouldnt be surprised if Adrienne addressed it again on her show even tho it’s old. I kno Naturi was asked the question but I think we need to retire the subject. The person who did it isn’t even in show business anymore while Naturi and Adrienne are still successful. Look how karma worked. Naturi is telling her story and unfortunately this is apart of it, Kiely is only feeling the need to speak out because it makes her look bad to this day at least Adrienne was woman enough to apologize for her actions during that time. Truth is letting go of difficult situations in the past is really difficult especially when it’s a part of the things that made one triumph. Kiely needs to apologise and they all need to move on she need to let her interviewers know that that not part of questions she will address. Kiely looks like a liar. painting herself as a victim so dramatically. It’s obvious and ingenuine. Kiely definitely did it. Her mom was the manager of the group and thats really the only reason why she was in the group, sang lead, and the reason why Naturi is gone. Her mom wanted her to be the star of the group. Hence why she became a Cheetah Girl as well. However, many will recall that she rose to prominence as a member of groups 3Lw and The Cheetah Girls. The latter of which proved wildly successful.